Welcome to Park Mazda’s Automotive Finance Centre! 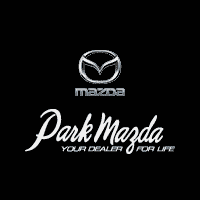 You benefit from professional, friendly and money-saving car financing services in Sherwood Park near Edmonton when you call on Park Mazda for the purchase or lease of your next new Mazda or used vehicle. Obtaining a car loan can be a stressful, lengthy experience, but it doesn’t have to be. Here you can fill out and submit a credit application online or in person, and we will get back to you without delay. And when we do, we offer a car credit plan tailored to your situation and your budget. Thanks to our large network of financial institution partners, we can find you the best automotive financing plan, including 2nd chance credit. Our credit specialists are experienced, attentive and protect your confidentiality at every step of the process. We take care of everything, so all you have to think about is choosing your next vehicle! Feel free to call us at 587-805-1082 at any time or contact us via email to obtain more detailed information about our financing services.